The prevailing wish of the country is to put the past behind. A rare unity of purpose that obtained in January is needed again. For nearly a century, Sinhala Tamil ill-will, erosion of cordiality, loss of trust and growth of enmity have plagued the nation’s polity. Now they have begun to thaw. Making them thaw further needs a fresh political ethos. The past was riven with debate as if arguments well phrased or ideally rephrased can change the course of the future. They were hurled at one another interminably bringing no benefit to anybody. The communities can remake their future if the leadership in the North and South begin to engage in an honest dialogue. The South to part with power and the North inclined to take it. Ask for more not like Oliver Twist but like Saumiyamoorthy Thondaman. In a very remarkable turn of events, the bloodless change of January 8, 2015 thrust a glorious opportunity into the hands of the political leaderships of different hues. As of now even as a rare chance for a fresh beginning seemed slipping away, another occasion has arisen. To all political formations and ethnic entities, the day of decision is August 17. To the Tamils the challenge is to dispel diffidence, dissipate cynicism, forget impotent Boycott and forge a solid political unity among themselves. Respond to Sampanthan’s call and give the TNA 20 seats to parley with a sense of power. “Know your friends, know your enemies”. This was a profound political verity advanced by Mao in trying times of conflict. Tamils too had challenges to test their political wisdom and they yet have. It appears that for a century, only slips and not success were overwhelming. Cataloging them all will only immerse the Tamils in despondency. Yet a few need mention. Through them all runs a single consistent thread. What is it? Looking afar outside of themselves and the country, spurning self-reliance and hugging phantasms that were external. A greatly flawed approach of Tamils has been to subserve self-effort to external intervention and support. In 1922, a memorandum called ‘Minorities Scheme’ was sent to the Secretary of State for Colonies, Winston Churchill by Sir P Ramanathan. Since then with hope against hope, weighted representation was canvassed before Donoughmore, balanced representation before Caldecott and constitutional safeguards before Soulbury. Perhaps in colonial times there was no other way for a threatened minority. It is distressing that the majority community never sought to assuage the apprehensions of the Tamils. The latter too continued the same strategy and tried out only foreign friends. From independence to now, appellate institutions are seen elsewhere in UN, US and India. For once when times are seen at least remotely propitious for cutting the tangled knot, the chance should not be missed. Leadership on both sides have seen blood and gore to favour understanding and compromise. TNA in the last six years has raised the level of consciousness among Tamils. Protracted parleying, losing no time is needed. For this the mandate to TNA from the Tamils should be unequivocal, loud and clear. Seat strength of 20 and no less needs to be unwavering and explicit. Even as political thinking was evolving in Ceylon a century ago, the levers of the economy were changing. By early nineteen twenties North-South divide was developing. The former relied on services for its economy and saw education as the assured course. The latter had mature plantation agriculture to foster incipient industrialisation. The South sought to strengthen both. The emerging pattern of the economy had its impact on the social structure and the people’s aspirations. It was inevitable that the ruling ideas that were gathering momentum were those of the ruling class. The subtle relationships that grew between the rulers in Britain and the ruled in Ceylon favoured the South. The ethnic composition of the ruling class itself was changing. These developments were more from the nineteen twenties till independence. For a century from 1915, Tamils had recognition as the principal ethnic entity of Ceylon. Close on the heels of the powerful mass movement in India for independence, was a stirring in Ceylon as well. There was however a difference in dynamics. In India people in the mass measured their strength in numbers as shown in streets and public squares. In contrast, the leaderships in Ceylon engaged in negotiations with the British rulers and were sending petitions for reform. The people’s agitation for independence was never in the reckoning of Ceylonese leaders. Those who had moved upward economically also moved forward socially. Having caught the limelight, next in line of capture was political power. Leaders of all citizens came together into one caucus to form the Ceylon National Congress in 1919. In no time primeval instincts surfaced and ethnic concerns came to the fore. The formation was riven by minority apprehensions. It was feared that accession of power will be not to the nation but to a coterie from the single major ethnic entity. Sir P Arunachalam, the founding President of Ceylon National Congress was elected in December 1919. He sensed looming marginalization of Tamils from mainstream progress. In a few years Sir P Ramanathan who served the country as Solicitor General and Acting Attorney General for long years and later as a member of the Legislative Council, joined his younger brother. He had enough political maturity to nurture still greater misgivings and he made them overtly clear. The growing negative trek of the twenties was superseded in the thirties by the potent cry of balanced representation for all minorities. Failure to accept this proposal brought forth in 1949 a sensible demand which was federalism. The rulers of Ceylon and later Sri Lanka saw no wisdom in this proposition. Their limited outlook found meaning only in destruction of several hundred billions worth of assets, not to mention elimination of lakhs of human beings. This was the run up to the foisting of brutal state power and armed action against the Tamils from Presidential Election, November 2005. This became the precursor to the riveting of a fascist dictatorship from 2010. In 2015 January the stage was set for a Hitler to reign supreme. The prospect was thwarted by the collective intelligence of the persecuted Tamils and Muslims joining hands with the Sinhalese. It was this single act of wisdom and courage that saved the nation. For this the country stands beholden to the principal leaders especially to President Maithripala Sirisena, Prime Minister Ranil Wickremasinghe and Former President Chandrika. From the day Presidential election was announced in November 2014 to elections on January 8 2015, what have the Tamils done? They united to a man with a resolve to vote. Faint voices about boycott went unheard. Intimidation by state agencies was repulsed. Unethical intervention by the Governor was thwarted. The TNA having led the people quite adroitly from 2010, sought their endorsement in 2013 at the Northern Provincial Council election. A positive response was given unreservedly. An impressive record was set in voter turnout and in the mandate to the TNA. Fortified by that success Tamils in 2015 were in the vanguard of the minorities in effecting a change of regime. It was accomplished without fear and with determination. Having achieved Himalayan success in January, they have a still greater duty to perform from now till August 17. If not even a whisper arises from Tamils now for a boycott, it will be a first in 84 years since 1931. All Tamils owe this as a duty by their ethnic brethren and other minorities. As much or more is their obligation to make common cause with the Sinhalese, consolidate their victory in January and secure a decisive elimination of fascism and the return of a Hitler. Having done their work by the nation, the Tamil leadership can yet fail in its duty by their own community. Worse when it is allowed to happen through stark irrationality. 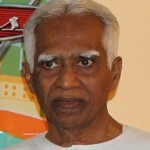 It is true that GG Ponnambalam erred after leading the Tamils, accepting a portfolio and then betraying the cause. For this he was relentlessly pursued by the Federal Party, roundly condemned for decades on end and soundly defeated at no less than three elections. Virtually all Tamil Ministers who joined later – with the exception of one from the FP – were never faithful to the cause. Not one among them had any Tamil sentiment. They sold their soul and they were used what they were paid for. From 1960 to last week, it was the same story when Karuna was thrown away like a squeezed orange. Is it not a signal that now, not even the losing coterie needs a fifth columnist? When the present government is returned with a strong fresh mandate, an offer of portfolios to the Tamil Leadership may be anticipated. This can be in an effort at nation-building. Will it be responsible conduct for the Tamil leadership to spurn power, shy away from authority and to stand aside? From 1956 this has happened with a small break in 1965. Making a break with the last 60 years is the task before the TNA. What is politics all about? It is pursuit of power, capture and sharing. Power is held collectively by the Cabinet as per the mandate granted by the people. If TNA is chosen by the Prime Minister to hold a few portfolios, they will hold them as of right. Power is at its maximum with a Minister and gets transmitted down the line to districts and the periphery. In a sense it is similar to electricity, generated at Victoria and taken to Jaffna. Who will say, let us not take it because one abused it earlier and got electrocuted? As the world knows, a parliamentarian is not appointed a Minister because he loves power or lusts authority. Conversely it does not follow that non appointment means one spurns them. Then his place is the monastery. Therefore discarding such gibberish, the high caliber men in the TNA must be brought to the fore to shoulder higher responsibility. Tamils cannot wait till their problems are solved in order to make them Ministers. They must be appointed Ministers to solve their problems in areas like: Education, Health, Reconciliation, Agriculture, Land, Resettlement, Rehabilitation, Devolution etc. By themselves hands on and through their cabinet colleagues. If there be a streak of light extending a ray of hope, it opens up space to prospect afresh.What do Tamils need now? Unprecedented solidarity for voting in the largest number of TNA MPs. This is indispensable for a repeat victory of the incumbent government. TNA has perforce to negotiate for two or even three formidable portfolios. This is the prerequisite to restore Tamils to a position of dignity and equality. Relegation to the level of veddhas and gypsies otherwise. No exaggeration. The FP is staging 23 contestant. The parties separated from thimpu principles after Thimpu talks staging 21 contestants. All in TNA. The Parties of These 21 Have been with the IPKF and with the SLA and co, gathering information. Only God Knows what they did and doing now. As far as Tamils are concerned Democracy did not do any good for them but stripped their rights and well being making them slaves an drug users. Give a chance to TNPF to their voice to be heard. For the last 65 yrs Tamils elected the so called Tamils right champions en masse but the situation went backward. So what is the point in electing them. The SL Tamils is the best example for the fundamental flaws of democracy. What good did do when a psychopathic despot was reigning terror over people? In a democracy the people have the last word. They can kick the incumbent member of Parliament out of office. Thanks for the overview of history and pin pointing the chinks in our armour. However, do yo think the TNA has put forward the best among the Tamiks in the north as candidates for elective and nominated office as MPs? Their national list is a monstrosity. Does anyone in their national list match the skills and personality of Sumanthiran? What have other TNA MPs contributed in the last parliament? How many will contribute in the new parliament? How many are fit to be ministers and deputy ministers? It will be only Sambanthan and Sumanthiran holding the can once again! This is the unfortunate station confronting the Tamils. The TNA has failed to select, nurture and groom a new crop of visionary leaders for the Tamils. Can you list any names that the TNA have missed. I write and comment in CT to reach a wider audience, including the TNA. Further, I am not scouting candidates for the TNA. The TNA can find better men and women, yet among the Tamils. Sumanthiran was a very good choice in the past. He has proved his worth within parliament, in the courts, in establishing a rapport with the people and politicians in the South and on the international front. He has earned the respect of the Tamils, the other communities and the world. The Tamils have been served well by him. We need more of his calibre, from different fields of expertise. I can only ask on what basis the TNA candidates were selected. Were they selected on their past performance, experience in subjects of relevance to the Tamils or their vision about the future? None of them as fit as the 4 votes candidate Douglas. After how many times you had questioned what is the qualification for Douglas to be minister, you let go TNA MP just become minsters?. (Minister Post?- This is what they in Tamil “pig thinks of eating the filth even in it dream). “Vidiya Vidiya Ramar Lathai, Vidingchal Ramar seethaikenna murai”? ( A fool was listing to the Rama-Sita story, with out sleeping one entire night. In the morning, when the story ended and people started to part to their homes, he asked them how Rama related the woman in the story Sita. (Why would a dog might need a paurtheangai- That PhD is too heavy? Utter ignorant crap! Check facts before you comment. Do not invent facts. Douglas knows what I think of him as a politician and his party. I have known him from his childhood and I bear no personal malice towards him. I wish he had used the opportunities he got, to serve the people well. But not me. He used it too much. Kanam PhD, why this hide and seek? Why are you not saying he could have made more openly? Why is his double game? You are telling he he could have used the opportunity? Comedy Thamai. PhD level high status comedy? You are foolish person did not read in these colums that Sinhalese are resenting that they were cheated in the last election, you are still trying to prop up your hooligans after Tamils have been cheated from 1948 by both parties. Utter ignorant crap!.Where did you get you PhD? I can try to send the University some of your writing so that they will amazed by the performance (ignorance) of their Graduates. Dogugus is the the person misused the power most. Keeping ironing me like the way the Kandian Sinhala Intellectual Off Tragic Case ignoring. You both get the same instruction. I see you both are on the same boat and I will make sure you too stay on the same threads together. Poor EPDP, if Old King does not come to power, certainly Dogee will be in the Lankave’s prison to show America that the UNP-New King government is investigating the war crime. So I can see the reason you join the Kandian Sinhala Intellectual and praying for the return of the Old King. Just to keep it safe, you are one in a while crying for Ranil Mahata too. Karuna has already cried for Pirapaharan’s wife and children. It was reported that he pointed at Balachanran to be shot. So after years now to escape from Ranil Mahata’s grip Karuna is crying for for people he killed. He has told UPF has given seat to contest, the murderer of Ravijaraj and JP. He did not think Sumanthiran will appear in the court case he filed. Now he struggling to defend himself out of that case too. You can not understand Chanrikathasan. By mistake you have thought he is with TNA. Please don’t do that. He still soaked in the miracle(mirage) of bloodless revolution SWRD did and saved the country from being going on the pre-1956 path of racial harmony and equal economical development to South Korea. Time for Dogee to use opportunity now and join UNP. Failing will make you to regret.Time to your mask too to go off. Douglas is the person misused the power most. If you try to white wash as you wanted him to use the opportunity his crime are going to swept under the carpet? When there is a government in the North, he will be extradited to Chennai to face the murder case there. As you claim that you are friend of him, tell him, please, to keep the mind when he using the opportunities too much. I agree with your assessment on TNA candidates. Furthermore tamil parlimentarians should develop excellent knowledge and oratory skills in sinhala. I would not waste time replying mallaiyuran, his comments are normally not relevant to the theme of article. TNA also needs to counter the money and fraud of Rizard. mallaiyuran is an autonomous lunatic! Its funny how different people see things so differently. I guess that is why there is no end to the problem. For a century from 1915, Tamils had recognition as the principal ethnic entity of Ceylon. Well, before 1915 all Tamils were known as “Indian”. After 1915 the “Ceylon Tamil” demography was created splitting the Indian population is half. There were no proper citizenship criteria as there was with the Citizenship Act of 1948. Arunachalam was instrumental in bringing this change. weighted representation was canvassed before Donoughmore, balanced representation before Caldecott and constitutional safeguards before Soulbury. Perhaps in colonial times there was no other way for a threatened minority. Don’t forget that these forms of representation was also sought as a means to keep Tamil low castes from voting. In addition, don’t forget there is another minority the Moslems whom did not have any of these problems. The problem is you and your ilk and no one else! 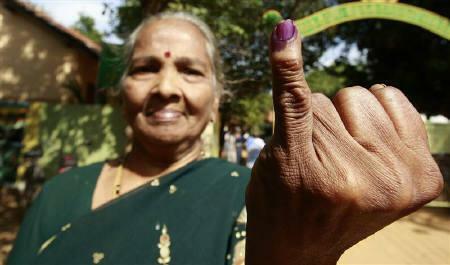 Tamil voting for the TNA to elect 20 MPs will show unity. But encouraging the MPs to take up portfolio is a folly. Sivathasan is caught up in a vortex and does not realise what is causing the vortex. He wants the TNA to throw themselves in the Vortex even when he knows what had happened to those who jumped in that vortex from before independence to the present. Knowing that and repeating the same mistake is folly. Does not the Tamils have any creative ability other than to repeat, like children, what has failed over and over again? Going up to Colombo with lotus flowers and prostating for Ministries has not worked before. May be TNA should do a Patha Yathirai up the Hill and do the same and hope for the Ministry of Development, or Education, or Agriculture, or Finance. Tamils have not tried that yet! Though I would not try that for anything. This is quite a contrast to what Usha writes repeatedly !! More realistic, truthful and doable. Hope all parties can move in the right direction. What is more is that the writer re-iterate that even as long ago as the 1920s, when representations were made to the “imperial government”, nothing was done!! IF the Late and respected Sir Winston did something then, we may not have to face all these issues now. So there are many reasons why we had this issue, how it could have been avoided, resolved etc., short of ethnically wiping out nineteen million Sinhalese and / or depriving livelihoods for both Sinhalese and Tamils by imposing sanctions. KUMAR PONNAMPALM WENT BEHIND [Edited out] TO BRIGHTON HOTEL AND GOT KILLED.HIS SON IS TRIYING TO TAKE NORTH TAMILS TO KILLING FIELDS AGIAN BY TALKING ABOUT ONE COUNTRY TWO NATION.HE IS TOO LATE LIKE HIS FATHER BY GOING ALONE.TAMILS WILL TEACH HIM AND VIDIYADHARAN A GOOD LESSION THIS TIME.THIS DR.SIVAJILINGAM IS CONTESTING IN KURUNAGALA TO SUPPORT RAJAPAKSE STATING THAT MAITHIRI DID NOT KEEP HIS PROMISE.HE IS A RAJAPAKSE AGENT.FROM WHERE HE GOT MONEY FOR ELECTION WORK.WE HAVE AWAIT KEEP GUESING WHAT IS HAPPENING IN NORTH-EAST. I overheard a vociferous legal eagle, who is a classmate of KP at RC stating in the OPA bar that KP always went for cheap stuff with lot of bush saving his “hard earned money” and went on to say that at KP’s funeral another classmate had compared “akaala marana” with KP’s “h….kaala marana”. Why cannot Tamils in Sri Lanka for once think as Sri Lankans without sticking to their separatist ideology of Tamilness. There may be Tamils in the North who suffered under terrorism being herded like cattle to serve the terrorists as their human shields. There may be Tamils in the North whose children were kidnapped by the terrorists …their voices are not heard and Sri Lanka armed Forces are blamed by the political minded Tamils as if the Tamil terrorists had treated the poor Tamils as human beings and not as slaves and people at their command…..
Too true, to be blunt I’m sick of hearing about all the ‘Tamil votes’ or ‘Sinhala Buddhist votes’ lost or gained etc. There’s obviously something there between the cultures that makes a Sri Lankan and the sooner political parties tap into that, I reckon the sooner there will be some social progress. It’s sad that we’re not just given a proper left or right wing option at the ballot without being clouded with nationalism and ethnic division. Rajan, let’s wait until September and subsequent ICC trials are over and the Sinhala side is duly punished. Your hoped for reconciliation will be dawned sooner than you think. done for the people except getting meagre concessions from the Govt. why drug menace is spreading in N/E.4. Did TNA ever talked about an airport and seaport for the North so that employment could be found, and prices of commodities and airfares to and from Southern India could be reduced due shorter distance.5. What was the necessity to talk to the diaspora by TNA while N/E are loaded with local problems. 5.Most importantly, the Tamil people are more worried about the infighting within TNA, elite and non elite and educated and not so educated problems exist , which has not surfaced yet. We heard TNA blaming that the govt. has not done anything but they also should say in the public meetings as to what matters were discussed with the govt. and denied. Mr. Sivathasan is at it again- He wants TNA bigwigs to join the cabinet and enjoy power and perks. Gibberish! Instead, Seek meaningful power-sharing. Empower the Tamil people by structural change. Forget about the few salivating Sahibs at the top. What mood do you expect from the Tamils after the Elections.Nothing different but their faces will show more deprivation than before except those politicians who will go to parliament. Look at their faces now. 75% are with expectations, monotonous,hungry,pathetic and no self esteem. These people are going to go to the polling booths to cast their votes to the wolves. The elections on August 17th are undoubtedly very critical and crucial ones. All Tamils have to stand together and vote for the TNA for it to have 20 reps in the new parliament as requested by Sampanthan. It is too early to speculate or even speak of TNA sharing power at cabinet level. Even speaking about it prematurely could launch a backlash from the Mahinda camp. At this stage it would be best to speak of responsive co-operation with the new government for good governance. That way, the TNA will be able to deliver more to the Tamils than by holding minor, insignificant portfolios. Charles Perera,if the Tamils were allowed to think they were Sri Lankans why were they looted,murdered and hounded out of their homes to refugee camps.Too bad the governments failed to help them and put the thugs and terrorists of the south behind bars. The Tamils of the south were herded by the government,from the refugee camp into a ship and sent to the north. Separation should have been declared then. There was no inclination about reconciliation it was always a ‘ minority’ and a religious issue.it still is,Too bad again. The last election showed the desire and the will of the Tamil people.How many times have you visited the north – not after the war but before. The south needs to clean up their mess before dragging the Tamils into their pot of mess. Reconciliation to its full potentials to please the south ? that is what the south wants.Take it run with it and forget the ‘minorities’.the south has done this before that is their style. If the south thinks that the Tamils in the villages know nothing the first surprise came with the last elections.it is a pity that the people cannot live as one people of the country.it is the making of the ruling government supported by the southern people over and over again has this country in a mess. – and now why blame the Tamils? Reconciliation to its full potential ? Ruba, reconciliation to its full potential is not very far away. Let’s wait until September and subsequent ICC trials are over and the Sinhala side is duly punished. ministry, lands, education or fisheries, so that they could do some justice to the Tamil cause, and refuse positions like Hindu affairs ministry, Tamil language & culture ministry ,live stock and estate infrastructure etc. Mr. Sumanthiran, an eminent constitutional lawyer and bilingual , is the right man for Justice ministry. govt. only after problems are solved will never happen for decades. Do not forget that G.G. Ponna got a cement factory in KKS and a chemical factory in Paranthan and few other enterprises and gave employments to thousands of people , while he worked as a minister with the UNP govt., years back. Sticking to principles is one thing and feeding the people is another. Shunning out of the militants EPDP, Karuna & Pillian from contesting, on UFPA ticket by MR, is a sign that they accept that atrocities were committed on the Tamils in the past and looking for a new engagement with the Tamils of N/E and TNA, with a different approach. TNA should weigh in both parties and give the support accordingly, in the event TNA becomes the deciding factor after the elections. From what I have from my peers , Ponna only ceremonially opened these factories! Dr. RN – give the devil its dues. If I remember right , GG.Pon. was the minister of Industries then and he was certainly behind those projects. Anyway these projects brought environmental disasters to the people living around these factories. Because of this and the state of environmental protection in the Jaffna Peninsula I seriously hope that the factories are not reopened despite existing plans. The KKS cement factory can destroy the rest of ground water in Jaffna by breaking the barrier between the ground water and the Indian Ocean. It is not worthwhile to pollute because of some thousands of jobs. I hope that our politicians understand this but doubt it. Thanks for raising this concern. I have also similar fears about resurrecting the KKS cement factory. Fortunately, while under the control of the Defence Ministry, it has been stripped of its innards! The rumor is that the valuable metal was sold as scrap metal. It still surprises me to find out what has been going on in the High Security Zones. How can big and heavy parts of machinery to break lime stone vanish? What happened in the Chunnakam power plant High Security Zone is another mystery. The waste oil lake vanished. G.G.Ponnambalam inaugurated as Minister of Industies, Industrial Research and Fisheries: 3rd September’ 1948..
Is it possible for a project of this scale to have been conceived, planned, funded and executed and inaugurated within a period of two or three years? The project was likely conceived and launched during colonial rule. J R Jayewardene had already looked into various projects and sought help from India. He wrote to K. Kamaraj and other leaders requesting technical support for projects he had in mind. Those correspondence between JR and Indian leaders were published in the the early 1980 or 1990s edited by Michael Roberts. If you have access to those correspondences you might be able to have some idea about those projects. it was SJV’s strong hold.Clearly remember listening to GGs political speeches claiming that it was his project. The democracy is only for the Majority, May be you are talking about. The wrong doers did not, do not like the psychopath in yr words. The concept of majority and the usage of word ‘terrorist’	are acting like the two fangs of the venomous serpent. What an outsider can do other than feeling sorry. How true, Tamils share their DNA with their Sinhala brethren. Another gem, outsiders always felt sorry for this island of Sinhala/Buddhist ghetto. Lee was one of the first one to openly express his sorrow. Mind you he was a Chinese and a Buddhist. Amartya Kumar Sen too expressed similar sentiments some years ago. He is an Indian and a member of scholars who are involved in developing Nalanda into its former glory. Nalanda was an international Buddhist University (5th to 12th century). TNA’s target of 20 seats in North East is too ambitious. Even at the last general election they managed to win only 14 seats and the Ampara MP Piyasena shortly after the election joined Mahinda deserting TNA. In my estimate, this time TNA will be lucky if it ends up with at least 9 MPs. In Jaffna, this time TNA may manage to win just 3 seats and the rest may go to Tamil Congress, EPDP and UNP. Gajendrakumar Ponnambalam of TC and Douglas Devananda of EPDP are most likely to win from Jaffna. In Vanni, TNA may manage just two. In Batticaloa, this time it may only get only 2 instead of the 3 it won last time. In Batticaloa, 3 Muslims MPs may be elected this time. Former MP Ameer Ali contesting under UNP ticket is likely to win carrying the Muslim votes of Ottamavadi plus the Tamil votes of other UNP Tamil candidates like Ganeshamoorthy. In UPFA, former MP Hisbullah with his Kattankudy vote bank plus the Tamil votes for TMVP’s Pillaiyan and other UPFA’s Tamil candidates will be a certain winner. SLMC with its own vote bank,may see the election of Ali Zaheer Moulana who is from Eravur. The former 3 TNA MPs have been just filling the Batticaloa Parliamentary seats. Selvarajah with his support base in Kallar and other parts of Eluvankarai may squeeze through but the election of the other two former MPs Yogeswaran and Ariyanenthiran are doubtful this time. These two mono-lingual former TNA MPs simply filled the seats and the only thing they have done in the past was just to issue statements to a compliant Tamil media to show that they exist. Batticaloa had always returned the likes of Rajadurais and Rajan Selvanayagams, colourless mono-linguals and even Joseph Pararajasingham though good in spoken English did not have any noteworthy educational qualifications. This time, among the other TNA contestants, former EROS MP Soundarajah who is a retired Principal may get the second TNA seat. Two of the other TNA contestants are former EPRLF and TELO militants accused of various human rights violations when they were aligned with the Sri Lankan Armed Forces. They won’t stand much of a chance against other TNA candidates. In Trincomalee, Sampanthan may get through and that may be the only TNA win from that district. That leaves Ampara district and this time it is doubtful whether TNA will get someone elected from there. Sometimes, if lucky, it may scrape through with one seat. The problem for Tamils is that Ampara electoral district is crowded with many Muslim and Sinhala contestants from the two main national parties. Thus, the most TNA may get from North East may be 8 or 9. TNA is banking on a hung parliament and people like Sampanthan and Selvarajah have already hinted that they will join a national government. That may not happen. Chances are that UPFA with Mahinda as its lead candidate may manage a simple majority on its won. In that eventuality Sirisena will be compelled to call upon Mahinda to form the next government and UPFA will not agree to a national government. And, I do not know on what basis Sampanthan has announced that there will be a solution to the Tamil problem next year. May be, he is thinking of joining UNP in a national government. I doubt Tamil problem which remained unsolved over the past sixty years could be easily solved in an year’s time. No doubt, it is another election ploy by Sampanthan and Co to win the Tamil votes. DR RN has rightly said that Sumanthiran and Sampanthan are the only two TNA MPs of some substance. Others including Suresh Premachandran are simply useless and they just fill the Parliamentary seats. And, I don’t see any other TNA candidates with good credentials. TNA has again demonstrated by its national list that it is a Jaffna centric party. I do not think that anyone from the East is named in the national list of TNA though TNA is likely to get a good proportion of its votes from the Eastern districts of Batticaloa, Trincomalee and Ampara. What will be the Fate of the Tamils. 1) The prevailing wish of the country is to put the past behind. A rare unity of purpose that obtained in January is needed again. For nearly a century, Sinhala Tamil ill-will, erosion of cordiality, loss of trust and growth of enmity have plagued the nation’s polity. Now they have begun to thaw. Making them thaw further needs a fresh political ethos. *** Are you seriosly suggesting that the wish to put the past behind when the Scars havent healed and there is no serious attempt by the Majotity to heal the Wound. Can you touch your hand on heart and tell if that is how Mums and Dads of the missing ones are feeling when they have not been given the Answer whether their loved ones are dead or alive. I know and you know that they are no longer on this Planet. But what we need to move on is an Honest Admission by this Bloody Government that they are no more so the families can move on and grieve for the rest of their lives. They may FORGIVE but they cant FORGET. There has to be TRUTH to RECONCILE. 2) The past was riven with debate as if arguments well phrased or ideally rephrased can change the course of the future. *** Where was the Debate and where was the Forum. The only Forum that I can think of is the Killing Fields. In a very remarkable turn of events, the bloodless change of January 8, 2015 thrust a glorious opportunity into the hands of the political leaderships of different hues. As of now even as a rare chance for a fresh beginning seemed slipping away, another occasion has arisen. *** You are out of your mind. We are not players in this new Poker Game. It is by the Majority for the Majority. If you want proof just look at what is happening now. The person who killed thousands of Innnocent Tamil is staging a come back under your nose. The Elected Presidents speech to the Nation is banned and you call that a New begining. 4) A greatly flawed approach of Tamils has been to subserve self-effort to external intervention and support. In 1922, a memorandum called ‘Minorities Scheme’ was sent to the Secretary of State for Colonies, Winston Churchill by Sir P Ramanathan. *** This is a weakness not by choice but reality because we have no decision making role as Minority and we dont controll anything. 5) Leadership on both sides have seen blood and gore to favour understanding and compromise. TNA in the last six years has raised the level of consciousness among Tamils. Protracted parleying, losing no time is needed. *** You may be right on the Tamil side but who is really serious on the other side. They are all playing to the RACIST music. 6) For this the mandate to TNA from the Tamils should be unequivocal, loud and clear. Seat strength of 20 and no less needs to be unwavering and explicit. *** Assuming that they get all 20 and if either MR or RW get enough seats to form a Government the 20 will be confined to the Bin. That is reality. 7)By early nineteen twenties North-South divide was developing. The former relied on services for its economy and saw education as the assured course. The latter had mature plantation agriculture to foster incipient industrialisation. The South sought to strengthen both. *** I thought that the Colonial Masters were in charge untill independance and I am at a loss to understand the following. Where and what was the Tamil Economy. – South had mature plantation agriculture to foster incipient industrialisation. The word Incipient throws the Spanner in the works. Are you suggesting that by early 1920s the South was anticiating Independance. 8) The emerging pattern of the economy had its impact on the social structure and the people’s aspirations. It was inevitable that the ruling ideas that were gathering momentum were those of the ruling class. The subtle relationships that grew between the rulers in Britain and the ruled in Ceylon favoured the South. *** This was divide and Rule Policy by the British for convenience. What Sri Lanka exported came mostly from the South Tea Rubber etc so it was inevitable that there was going to be this disparity. But the Majority often complained that the best Education System was in the North and hence the introduction of Standardisation. 9) For a century from 1915, Tamils had recognition as the principal ethnic entity of Ceylon. Close on the heels of the powerful mass movement in India for independence, was a stirring in Ceylon as well. There was however a difference in dynamics. In India people in the mass measured their strength in numbers as shown in streets and public squares. In contrast, the leaderships in Ceylon engaged in negotiations with the British rulers and were sending petitions for reform. 10) The people’s agitation for independence was never in the reckoning of Ceylonese leaders. *** For your information the movement for Independance in Sri Lanka was started by the Jaffna Students. 11)It was this single act of wisdom and courage that saved the nation. For this the country stands beholden to the principal leaders especially to President Maithripala Sirisena, Prime Minister Ranil Wickremasinghe and Former President Chandrika. *** What have these Leaders offered the Tamils. Army are still in Charge Two new Police Staions are being built and no doubt will be run by Sinkalams. 12) A positive response was given unreservedly. An impressive record was set in voter turnout and in the mandate to the TNA. Fortified by that success Tamils in 2015 were in the vanguard of the minorities in effecting a change of regime. It was accomplished without fear and with determination. *** All in vain and if in doubt ask the CM if he is weilding any power. Frankly none. 12) Having achieved Himalayan success in January, they have a still greater duty to perform from now till August 17. *** It was not Himalayan Success and if anything not even Pidurutalagala. 13) When the present government is returned with a strong fresh mandate, an offer of portfolios to the Tamil Leadership may be anticipated. This can be in an effort at nation-building. Will it be responsible conduct for the Tamil leadership to spurn power, shy away from authority and to stand aside? From 1956 this has happened with a small break in 1965. Making a break with the last 60 years is the task before the TNA. *** That will suit the Agenda of the Sinhalese. Frankly what we need is a Federal Structure along the Indian Model. What is politics all about? It is pursuit of power, capture and sharing. *** If you dont own anything how can you share. Let me ask you a Question if you live in a House as a Tenant and ask the Freehold Owner can I share it what would he offer you. Frankly a kick in your back side. 15) As the world knows, a parliamentarian is not appointed a Minister because he loves power or lusts authority. Conversely it does not follow that non appointment means one spurns them. Then his place is the monastery. Therefore discarding such gibberish, the high caliber men in the TNA must be brought to the fore to shoulder higher responsibility. Tamils cannot wait till their problems are solved in order to make them Ministers. They must be appointed Ministers to solve their problems in areas like: Education, Health, Reconciliation, Agriculture, Land, Resettlement, Rehabilitation, Devolution etc. By themselves hands on and through their cabinet colleagues. ***You have lost your Power of thinking. As a Tamil you cannot and will not be allowed to make decisions on matters that affect the Majority. That is reality. It is easy to talk politics but difficult to achieve anything solid. Tamils have always tried their best to find lasting solutions( in variety of ways) to their problems but nothing solid has been achieved. Yet it is imperative that they should help to preserve the type of national reconciliation achieved in January 2015, to work towards a constructive solution to their problems. Getting portfolios or craving for higher government positions will not bring lasting solutions. It is undoubtedly in the best interests of Tamils for the TNA to maximise the number of seats in the Parliament. And if they end up with the balance of power, even better. However, it is premature to talk about Ministries. It is better to informally support the UNP/Sirisena coalition to form government without accepting any portfolios, in particular if they have the balance of power. And as time goes, if the UNP/Sirisena government shows signs of truly solving the huge problems faced by the Tamils and truly serving the interests of Tamils, a more formal coalition agreement should be entertained by the TNA. 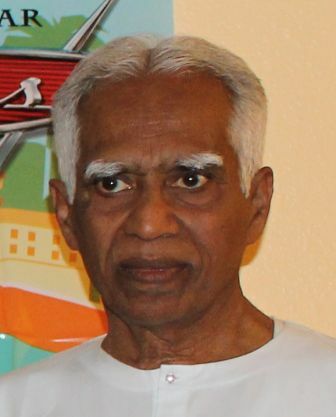 You had praised some, found fault with some, recommended your wisdom, as to what the Tamils should do, and not do, based on your thinking, wish and agenda, which is questionable, as to whether your suggestions are dispassionate, objective, rational, will deliver future prosperity to Tamils in Sri Lanka. You were in the highest level of bureaucracy and a consultant to highest level of leaders of Sri Lanka, close to decision makers and power holders. Were you able to make any tangible resolution, changes, impact initiatives and achieve results, except talking at forums and gossip centers and may be writing a few notices, for which no one took notice. You had traced historical, major event problems happened, and what happened after independence. 1)	Disenfranchisement of up country Tamils. The formula for resolution, resulted in creating perpetual problem and irritation between communities and non-development and non progress of up country Tamils for number of decades since 1947. 3)	Adopted a Policy of responsive Cooperation for finding solutions to problems, he made some contribution, on addressing economic development in Tamil areas, only through Govt. and its machinery and did not mobilize the whole community, private sector for a total development. He cooperated with the Govt. to work out a workable formula for resolution of citizenship restoration which did not materialize. He lost his power, leadership after independence in 1956. Every member had to fall in line to his thinking and actions. Which created our Nanlhikadal, justifiable or not. He was only a manipulator and behind the scene negotiator, using vote bank of democracy aligning with power. He openly acknowledge his failure at the Jaffna esplanade meeting, in 1965, when he accompanied Mr. Dudly Senanayaka, presided by Mr. G.G.Ponnambalam, re citizen ship act, his role, at that time and regretted openly. The leadership of Mr. Amirthalingam and remaining those leftover from his team did not have a vision to arrest destruction or to resurrect the community. No visible establishments were created for mobilizing, initiate any possible development of the people, and their future, except platform rhetoric of hate, inability, regret despondency, negative thoughts, values and frustrations : Assisting, engineering the chaos,rowdism,indicipline,to perpertuate,continue and multiply vices, corruption, anti-development of the people, except their own power game, possession and perpetuation of their future and theirs associated establishments. 1)	What you (F.P) had done, contributed, created, for the development of community up to now, all those days in various fields, except platform retoretic, hate speech accusation etc. 3)	What are the fundamental establishments you intend to create for the electorate, area, community with time targets? 4)	They / you should not speak, spin words, retoretic and mislead people and cover up your bankruptcy, which are meaningless to people now, which were repeatedly croked from 1947. 5)	Will you all individually and collectively declare, that you all will not collect / enjoy / receive all perks / benefits / salaries / others at this time, by going to parliament, when tens of thousands of men, women, youths children and others had made supreme sacrifices, including their wealth, Parents, relations, their limbs and body parts etc. and lives, as you all were creators of present making, collectively and individually by Politicians of your brand. Mr. S and their ilk have already started churning propaganda notices, materials etc. requesting 100% vote for F.P. Please answer the following questions, so that, people can decide. 4)	What is your leadership’s view on, when the girl Miss. Vidiya, brutally bitten by two legged rabid dogs, raped at Punguduthevu. When, where all law and order machinery did not exist / ceased. Why at her funeral, one person say, such incident could not have occurred before 2009. Is the statement justified reality. 6)	What is your role and collective responsibility stand on this and similar incidents. 8)	Have you laid foundation ,conducive condition, for facilitation for experts to come and take part in reconstruction for future development, contribute their expertise,skills,Wisdom and develop their own high tech establishments except as site seers and tourists. These questions are for all in the ring competing for acquiring power through parliamentary election process 2015. I have read with much interest your perspectives on the performance of our politicians and King militant, from a historical perspective. The questions you have posed are quite relevant. However, I would like to know what you think needs to be done in the north, in specific terms. How urgent do you think the Jaffna River Project in particular? Your questions can be answered if you pluck up courage to reveal your identity. When you say “We demand to know”, whom do you represent? By what authority do you demand? This guy whatever his real name is has asked some relevant questions. You are refusing to answer him unless he reveals his identify. What a pathetic reply and what a pathetic stand! Forget about identity man. What is your problem in answering the questions? Obviously you do not have the answers. When asked searching questions by readers you give a lame excuse about identity and start running away. If you cannot answer these questions, don’t come back to Colombo Telegraph and write your stupid pieces lecturing to the Sri Lankan Tamils what and what not they should do. You are asking the Sri Lankan Tamils to give Sampanthan 20 seats. What have his party achieved in the past 60 years? Nothing. Will any Tamil believe that what Prabaharan could not do with three armed forces your man Sampanthan can do with 20 MPs and find a durable solution to the Tamil problem in the next year? What a joke! At every election TNA comes with these types of statements. At the last Parliamentary Election and later Provincial Council elections TNA told the Tamils that the international community is watching us (“sarvathesam parthukondirukuthu”) and you should therefore show your unity by voting for us. Tamils voted for TNA and showed their unity but the international community did not do anything. This so called international communty (meaning US, EU and India) would not help the Tamils because they are only concerned about their geo-political interests. This time Sampanthan and TNA are playing yet another record. At every election they will play one card or another and they expect the foolish Tamils to vote for them. Unfortunately, this time, I will be surprised if your TNA gets even 10 seats. If “OY” now reappears and claims to be, for instance, a fictive Mr Ravi Kumar will you answer his questions? How would you know that the name is real? Would your next step be to ask “OY” to scan his NIC and phone bill and post them here? Is this not an excuse to avoid replying? This is not very relevant. Feel free to add me in the plural of “OY”. In case you then demand me to identify myself the answer is that I will absolutely not do so. I do not want to have any of the personal attacks that I have seen allowed on CT. I am not saying that you would personally do something bad but there are many others who might. Even worse is that in the real world we can see what happens with “dangerous dissidents”. I provide here two examples I found in the English speaking media today. An ITAK MP candidate is accused of having threatened students in Jaffna. The person in question is to my best knowledge Vice President of ITAK and member of the Jaffna University council. What happens to the dissident students now? Have they been identified? I can only hope that this incident has been reported to the EC and the police in Jaffna. “Tamil National Alliance (TNA) National List nominee Prof S Sitampalam held a meeting at the Jaffna Technical College on July 20 at 12.30. He was invited by the Director of the College, N Yogarajan and Sitampalam toured the College for over one hour carrying out propaganda activities”, Campaign for Free and Fair Elections (CaFFE)has reported. The doctor who claims to have a list of 25 politicians involved in drug trade is threatened. He is offered a pistol instead of proper police protection. Prof S Sitampalam was one of my lecturers at the Jaffna University. A bit eccentric but that goes with the profession. His behavior as a candidate already shows what he would do as a MP. Very clearly he thinks that he is above the law. Was he really among the best TNA was able to find and deserved to be on the National List? CT and Heratic, thank you for bringing this up. PS. Prof S Sitampalam has been using the same old red helmet since I was an undergraduate. I doubt parliament election is a general election, the word general is a misfit in the proportional representation, and the communities are polarised badly. Personality cult is prevalent, candidates say preference votes are very important and should vote only for Sinhalese/ Tamils/ Muslims etc. One candidate says, ‘mark only my number, don’t use the other two’. What an inner party democracy! If voted to the party and not marked any number even, the vote is valid. This is a mockery, then, why they appoint organizers electorate wise. The preference marking must be made ‘compulsory’ reducing to one i.e., should mark the party and only one number lest the ballot be invalid. Then only racial amity party discipline can be expected. JVP is the only party shuns preferences but that too cause of resentment and deserting the party after poll against party high command which is a cause for internal discord. If TNA won’t get 20 seats Tamils will lose chief opposition to JVP which is now in third position nation wide and they may start the probation! Will that be good for resolving language problem and then land settlement? Chief opposition: JVP or TNA is envisaged in a national government and in case JVP or TNA would not join the government. Both UNP and SLFP candidates contest in elephant and betel leaf, they switch over to which over side gets more seats, so now both the main parties are full of hybrids or chameleons or amphibians. In a hung parliament the party with more seats, the single largest party, will call the shots. Then who is in which group will also be a hot gossip! Those who contest in main political parties as a group with a Memorandum of Understanding would not be considered frogs! Eg. Patalie, Rauf, Mano et al.